Pro-Motion Notions can be counted on for some of the highest quality, best value, most innovative marketing solutions in the industry. Creative, prompt, personable and extremely knowledgeable, it is always a pleasure doing business with Annette & Donna at Pro-Motion Notions! Pro-Motion Notions has provided marketing solutions to our company for 9 years, always giving us fresh ideas, flawless execution and great value. Annette has been flexible and creative in delivering the right solution to us every time. Pro-Motion Notions has been the ideal business partner. I will continue to use them for marketing solutions as long as I remain in business. Rachel has been fantastic to work with. Please thank her for her timeliness in getting that order rushed for our event! We really appreciate your above & beyond team over there. Bernie at Pro-Motion Notions really understands our industry and so we trust her to find the right items to support our restaurant brand. Annette is a very savvy businesswoman, and she uses that know-how to help her staff and clients select promotional items that will enhance their image and support objectives. I continue to recommend them with confidence as I have always known them to act with professionalism and a focus on customer service and satisfaction. Annette is a very creative thinker. I take an idea to her and she makes it happen. She always is trying to get the best deal but keeps in mind what you are trying to achieve. She stays current with what is attracting customers to businesses and knows what's new in marketing. Anyone looking for a marketing piece should at the very least call Annette and give her the opportunity to quote you an idea and price. You won't be disappointed. Always on time and never a hiccup in 15 years as our source for all things branded. Rachel, Bernie and Annette do a great job! Working with Pro-Motion Notions is taking your branding to the next level. Annette and Rachel are accurate, dedicated and believe in the value of superior service. They will be as creative as you need them to be and make sure your products arrive on time and within your budget. Thank you for your professionalism and dedication to Willis Smith Construction. I am so glad Bernie is back with Pro-Motion Notions. A friendly face always willing to go the extra mile for us! Special thanks to Pro-Motion Notions for their hard work and exceptional customer service. We are excited for the tradeshow- East Meets West Regional Business Expo! While in Tampa on an extended project I was tasked with locating a solution using some specialty marketing products for my client. I had an idea of what I wanted, but was open to recommendations from an expert in the field. I met with three individuals in the market I was working and none of them had a) recommendations, b) follow up, and c) got my order...so, knowing I was getting close to deadline to get thing ordered, I reached out to Annette. Not only did she listen carefully to the goal I was trying to accomplish, and made very good recommendations, she also had a proposal in my hand that day. She reminded me of the realistic deadlines needed and we made it happen. One of the things I purchased was a single bud vase with the organizations logo on it. Then, for the next 12 months, I brought fresh cut flowers around to all of the 80+ people that shared opportunities to grow my client's business. I had no expectations they would help me, but it is always nice to get a flower. And it worked! The client saw a 150% increase in business and the ROI was astronomical. I spent $150 to get the supplies each month, and we increased business $150,000 repeatedly. Thanks, Pro-Motion Notions. I look forward to having you save me again with my next client! We love working with Bernie and Annette at Pro-Motion Notions! 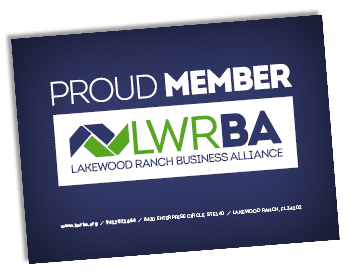 As Chair of the Lakewood Ranch Business Alliance Annette showed great leadership, dedication, and an unmatched passion for the organization. Annette's desire to do what is in the best interest of the organization stood clear in her decision making. Her sincerity and honesty were a pleasure to be around for everyone. I am proud to have served on the Board of Directors with her and recommend her company Pro-Motion Notions highly. Great job on the heart shaped sponges you did for us. Thanks Bernie! I have had the pleasure of using Pro-Motion Notions services many times and I have always been impressed with the level of customer service, quality of products, knowledge and integrity. My rep is extremely knowledgeable of the marketing tools in her field and finding the right promotional product to fit your business needs. I would highly recommend Pro-Motion Notions to anyone looking to market their business in an effective manner. It was so great to see you and Donna today. Wonderful to use a local company with national resources. No need to google this stuff anymore! I have worked with Annette on marketing campaigns for nonprofits as well as for our company. Her 20 years of experience is truly evident and if you are looking for new ideas on how to better communicate your brand, Annette is very creative. I gained deeper knowledge of Annette's professionalism through our work together on the LBK Chamber Small Business Council... you want Annette on your team! Pro-Motion Notions has done a wonderful job for all of our items over the years for our electrical company. Kudos team! Just like your service, your website is the best. Easy to navigate with a great selection and tips. Thank you Pro-Motion Notions. Once again they have created an amazing apron for our interactive dinner! Can’t wait to use them at our fundraiser. I have known Annette for more than four years both as a business owner and a member of the Siesta Key Chamber of Commerce. Annette has continually donated her time and energy in helping with Siesta Key Chamber events including our Fireworks and SandFest celebrations. Annette is also a very good business owner. We, as a Chamber of Commerce, are proud to have Annette's business in our community. She was a loyal chamber member since 2003 . There aren’t enough words of gratitude which I can share with you that shows just how much we appreciate everything that Annette does for Siesta Key and the Chamber of Commerce. Her kindness and generosity are unmatched. Pro-Motion Notions is a fantastic company to work with. They have been a promotional materials vendor for us for the last four years and we not once have had any kind of issue. Annette does a fantastic job. I would highly recommend them for any promotional or marketing needs. Nothing is ever in question when working with Pro-Motion Notions projects are always completely smoothly and quickly. They always provide top-tier service along with fun, creative ways to promote our events and overall association. Pro-Motion Notions provided quality premium items in a timely and accurate nature for a couple of my events. Annette is very knowledgeable in her niche of business and always strives for the best price point available. She is particular about getting the proper art work and colors for corporate logos and goes the distance to secure what is necessary to insure the best outcome. Hannah is also a pleasure to work with and always prompt in returning messages. I ordered pens and they did a fabulous job. I couldn’t believe all of the design options and styles we had to choose from. They arrived super fast-thanks Rachel. Pro-Motion Notions was very helpful in guiding through the process of ordering products for our company. The selection was impressive and we were very pleased with the end result! Her prices are very competitive. We will definitely order from Pro-Motion Notions again. We have recommended them to several of our colleagues. I can only say great things about working with Annette! I have worked with her personally, referred people to her, and worked with her on a variety of charitable, business and social networking functions. She goes above and beyond what is expected of her in every area. She knows what she's doing. She under promises (although you wouldn't know it) and over delivers - every time! Pro Motion - offers a vast selection of advertising specialties - and with their experience and knowledge, they make it easy to help you with the just the right selection at the right price. They present ideas and suggestions for your company and help you target your customer. Their showroom displays hundreds of items which helps in the final decision and they are just too nice to work with - always smiling. Thanks Hannah for everything. I am so happy with the way our lanyards, tote bags, portfolios and pens turned out. I can’t wait to see the mousepads and sticky note pads. Once again you guys have done a great job for GSAHEC. Annette is great to work with! If you tell her what you're looking for (style, price range), she provides solid recommendations so you don't get dizzy trying to choose from the huge number of products she can supply. She walks you through the design process and makes sure you're happy each step of the way. I have really enjoyed working with Annette throughout the years and would highly recommend her and her business. Oh my goodness! We just received our branded fidget spinners. Annette hit a grand slam for the Manatee Chamber of Commerce retreat! They are awesome! Great company, great service, pleasure to do business with! Annette at Pro-Motion Notions is an extremely pleasant to work with and successful businesswoman. Her expertise, combined with compassion and understanding of customer’s needs, make her a reliable and trustworthy professional, always providing best quality service. I had a chance to work with Annette on numerous occasions. 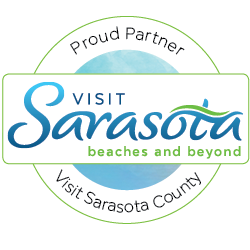 Her innovative ideas and attention to detail were highly appreciated while choosing promotional materials for Critical Care & Veterinary Specialist of Sarasota. I will definitely order from Pro-Motion Notions in the future. Thank you Annette for being AWESOME! Annette and her team at Pro-Motion Notions made us look good again- thank you! Pro-Motion Notions has provided Lakewood Ranch with promotional items for many years. She has always been a pleasure to work with. She has very creative ideas and always delivers great products - on time & at reasonable prices. I think she is the BEST!! Thanks for all you do! I saw your commercial on TV last week- love it! You truly are a bunch of super heros! Working with both Judy and Annette was a delight. They provided innovative ideas, got the order delivered on time and helped me meet my budget. I will definitely use Pro-Motion Notions for future promotional/marketing materials. Annette's strengths are many. Not only is she an excellent resource for just about any promotional item we can think of, she always goes the extra mile to offer suggestions we hadn't considered that would enhance our projects. Her consistent follow up and attention to detail skills are vital to our business success. We would highly recommend her. In addition to a tremendous resource, we've also gained a wonderful friend in Annette. Pro-Motion Notions has provided great products and promotional ideas for multiple businesses and non profit organizations I have partnered with -wonderful to work with Annette & Traci. Pro-Motion Notions is the best. I have used them for Vanessa Fine Jewelry and their products are the best quality at the best price.